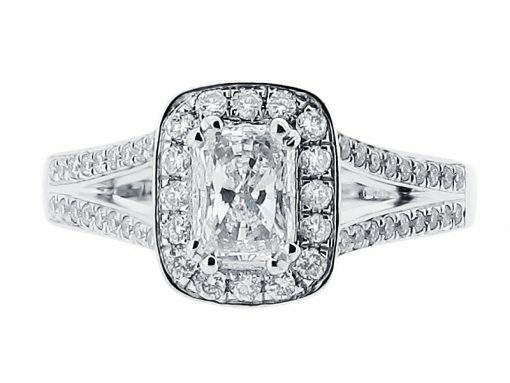 A gorgeous antique style radiant cut diamond engagement ring. The radiant is the most brilliant of all the squared diamond shapes, radiating light from all angles. 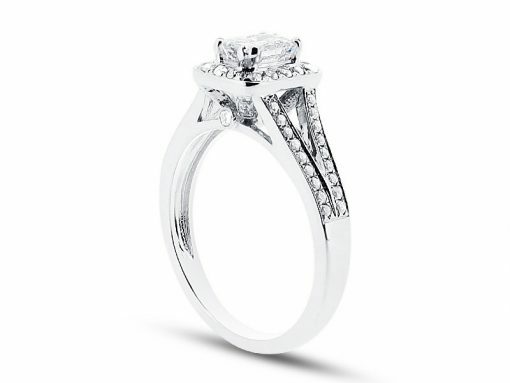 Completed by a scallop set diamond, split shoulder band, this style is a modern take on a timeless, design classic. Love this style but would like to make a modification? This design can be customised as desired and is available in a range of diamond shapes and metals. Please contact us to arrange an appointment to visit our discreet offices just off Grafton Street. Our team of trained professionals will be delighted to assist you in finding the perfect ring that suits your style and budget.